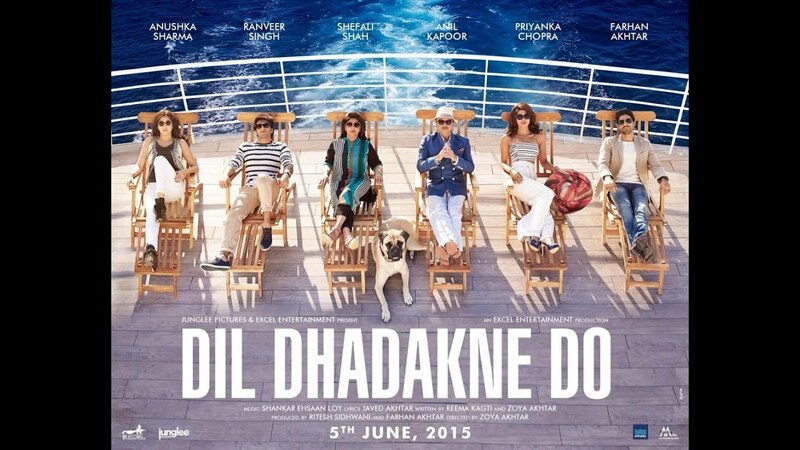 Zoya Akhtar's Dil Dharakne Do is a movie truly made for the family audience. It’s one of those movies where you have an enjoyable experience for the duration of the movie and then just forget about it. It’s a light family drama with some strong messages that are delivered in a way that they don't feel as heavy. Because every family is dysfunctional in some way or the other, the Mehra family's story is one that most people will be able to relate to, in some way or the other. The first star is for the chemistry between Ranveer Singh and Priyanka Chopra. It is true that siblings are always the best confidants one can have. It is also true that no one understands you better than them; not only because you have grown up together but also because you share the same mad family. The sibling camaraderie depicted in the movie won my heart. It made me smile all through. This star is a shared one both for the script writer and the actors. The second star is for the role that Farhan Akhtar plays in the movie. I am not talking about his on-screen role though. His most impressive contribution to the movie were the dialogues he wrote. Without those dialogues, the movie would have been flavorless to say the least. The third star is for the direction and scriptwriting that ensures that the family remains the central theme and is not diluted by the romances in the movie. Had romance been given any more weightage, the movie's plot would have been a complete mess. Well, I will not talk at length about the acting. Not because there was nothing impressive about it, but because when the star-cast includes seasoned actors like Anil Kapoor & Shefali Shah, you take good acting for granted. The music by Shankar-Ehsaan-Loy was a bit disappointing though. It is definitely not the music that will last beyond the marketing push for the movie. All in all, the movie is a good one time watch. If you do not go in with high expectations you will enjoy the movie.